When I was small, I always dream to be a STAR!!!! But until now I am not even a star....(head down with sad face). I found this opportunity to make me a star...oh well...at least I need to try somewhere to realise my dreams. I am one loyal customer of maybank2u.com since I started working. I also always received SOS call from my lil sis who always give me headache with this short of cash all the time. mmmmm..... even when I am traveling out of Malaysia, I don't have to worry much because I can access to my accounts anywhere I go just by click of button. Recent incident was when I was traveling to Seoul and while I am having a breakfast I receive my Mum's SMS asking why she did not see any cash coming into her accounts that month? That time, I was having second morning breakfast at one of popular coffee chain in Seoul. I totally forgotten..... leh....too excited on my trip to Seoul until forgot about her monthly allowance. I then quickly transfer cash using my maybank2u.com which I access from my tablet.
" You didn't receive, meh???? I thought I transferred already??? Please check your accounts again! " " Oh!!! I can see the cash in my accounts, already.. Thank you ...maybank2u save me from my Mum's 'nagging' and 'grilling'. Serious, I tried many online banking but my maybank2u.com is always the most reliable and convenient until now! So with this testimonial to maybank2u.com.... please make me your next STAR!!!! I need to be the STAR at least once in my life time before I reach that 40 years old! Anyone of you want to be a STAR??? 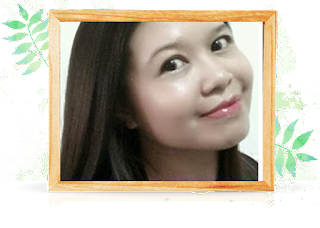 Write a post like me on how Maybank2u.com has helped you and email your blog link of post to m2umarketing(at)maybank.com.my along with your full name, IC number, address and contact number. You may have chance to win ASUS Nexus 7 tablet. 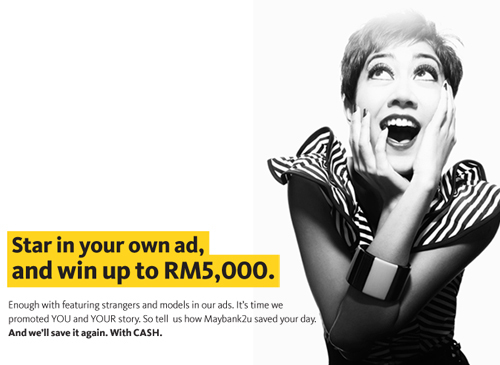 If you add in a link Maybank2u Be a Star Facebook App Contest you could receive bonus point. You don't have a blog??? Here is Maybank2u Be a Star app , just dig out your best photo then create your own ad with a true story (in 80 character or less), of how Maybank2u helped you. You will have chance to win RM5,000!!!! mmmmm.... can finance your holiday!!!! Plus... you are a star in your own ad!!!!! Contest ends 31st December 2012. pssstttt!!!! you need be one of maybank2u users. So if you are not one of maybank2u users.... what are your waiting for????? Yes, my pay day is also the day I need to pay my debts to banks.